From a label perspective, what's your take is on Spotify so far? I enjoy, appreciate and embrace anything that gets people to discover music. So I would say in the last 12 months, from the United States perspective, Spotify has been one of the most exciting places to discover music. The traffic and the amount of action on Spotify is just fantastic. That's clear. The amount of people sharing music through their Facebook application on Spotify is great. The people who run Spotify -- Steve Savoca, Daniel Ek and Sean Parker -- were very sensitive to the North Americans, because they flushed out so many issues in Europe and the U.K. before it got to America. So, it's been really good what Spotify has done. Lianne La Havas "No Room For Doubt"
"It took less than a year for Rakim Mayers, aka A$AP Rocky, to go from hanging out completely unknown in Harlem to being Sony-signed and Drake co-signed." It's Jay-Z week at Hip Hop Logic! His newest project is a website called Life + Times and it looks like he's hired a great staff to create it for him. Actually, he's probably at the stage where his staff hires the great staff. Nothing like delegation to show you're the boss! 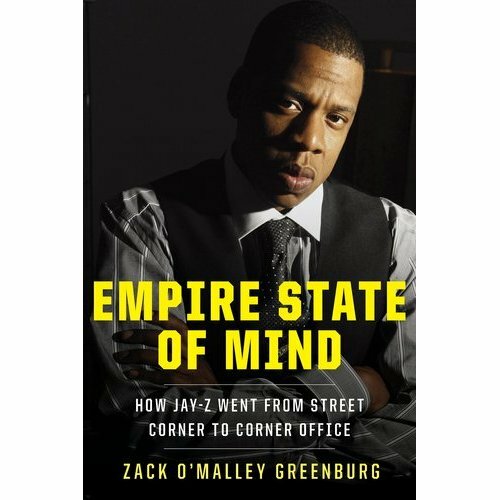 Via Hannah Elliott at Forbes who apparently scooped multiculti coworker Zack O'Malley Greenburg, author of the unauthorized Jay-Z business biography, Empire State of Mind. Too bad Zack's interview with Russell Simmons regarding his Rip-off Rush Card is experiencing an HTTP Status 500 error, whatever the heck that is. I'd love to see him play reporter and try to get tough with Russell. No doubt it's G-Larious! Jay-Z's Crooklyn, I Mean, Brooklyn Arena a Boondoggle? I've been playing around with a side project, Buried Quotes, that kind of naturally evolves from my daily online reading so it looks like something I'll continue to do since I enjoy it quite a bit. The idea is that I'm finding quotes from "below the fold", a concept based on a folded newspaper that has been taken to describe content below one's initial screen view of a site. So the quotes tend to be something that I find significant that could easily be missed given the quick scan culture of reading. I originally intended to launch it as a Twitter account but most quotes are just too long so I'm now on Tumblr. It's also a way of checking out that platform. Hope some of you find it of interest! Update: Once again I'm headed in new directions. Peep Ill Moves for more Hip Hop Dance!